We aren’t all made to perform on a stage in front of a huge crowd. Ever have a dream to fall on the stage in front of countless people? Well, there are some people who have suffered the most painful stage fails of all the times. We’ve caught the top 20 epic stage fails that will make you laugh hard. Hope you like it. 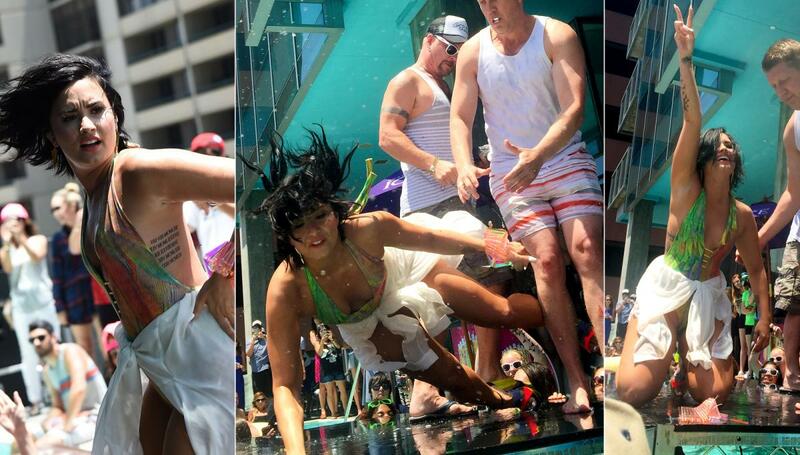 What a classy hilarious fall of demi. Somebody put a stop to her! When you want to be in the spotlight. When you’re scared of being smacked! Acting as if nothing happened? When you wana roll on the stage. That’s how beyonce roll on the stage. A fail moment for taylor. Must’ve been an uncomfortable prank. Something strange is dripping down her legs. When you never let your man leave!